Knit a comfortable, attractive yoke sweater for everyday wear - that is custom fit for you. 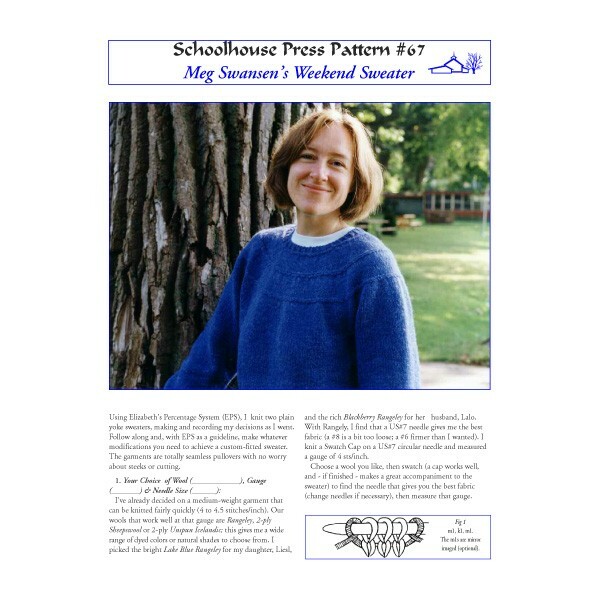 Meg Swansen leads you step by step through the remarkably simple process of sizing your sweater with EPS (Elizabeth’s Percentage System). Use the wool and needles you want - there are no steeks or cutting: simply weave the underarms for a completely seamless sweater. Work a hem, garter-stitch or rolled lower edge, and choose between a 3 or 4 decrease yoke. Perfect for those wishing to knit their first sweater.